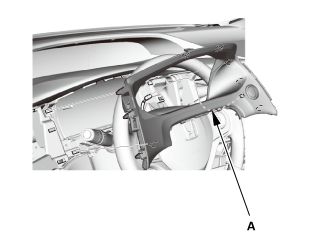 Remove the dashboard center pocket (A). Lay a workshop towel under the parts when working on them to protect the face panel from scratches or other damage. Do not work in a dusty or dirty place. Discharge static electricity from your body before and during the work. Do not touch the circuit board(s) with your bare hands. Do not work with dirty hands. Do not touch the terminal connector of the flat plate cable with your bare hands (If you have touched it, wipe it off thoroughly.). 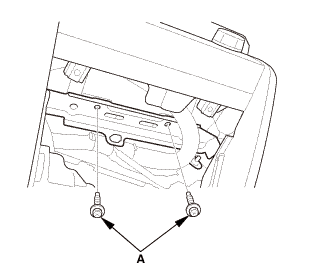 Eject the disc before removing the audio-navigation unit to prevent damaging the CD player's load mechanism. If you are replacing the audio-navigation unit, write down the audio presets (if possible), then enter them into the new audio-navigation unit. When the audio-navigation unit is replaced or disconnected, do the Map Matching. This part of the initialization matches the GPS coordinates with a road on the map screen. To do this part of the procedure, make sure that the navigation system displays a map, and drive the vehicle on a mapped road shown on the map screen. Do not enter a destination at this time. When the name of the current road you are driving on appears at the bottom of the screen, the entire procedure is complete. 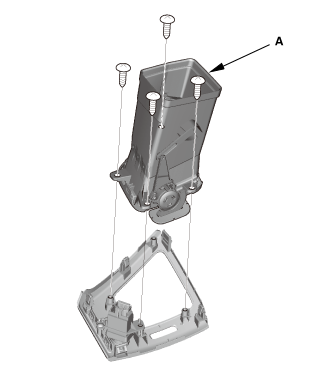 Disconnect the connectors, then pull out the audio-navigation unit assembly (A). 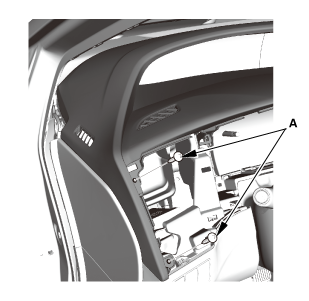 Remove the driver's outer vent (A). 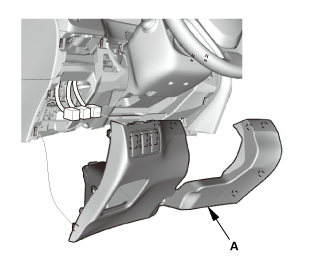 If necessary, remove the duct (A). 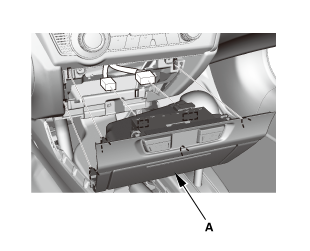 Remove the driver's dashboard lower cover (A). Remove the dashboard subdisplay visor (A). 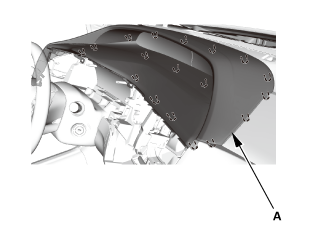 Remove the dashboard meter visor (A). Remove the information display unit (A). Remove the GPS antenna (A). Install the GPS antenna (A). Install the information display unit (A). 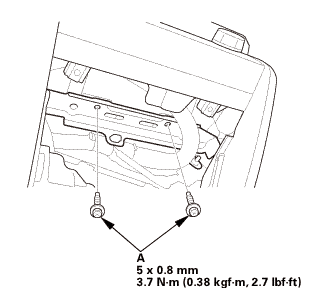 Install the dashboard meter visor (A). 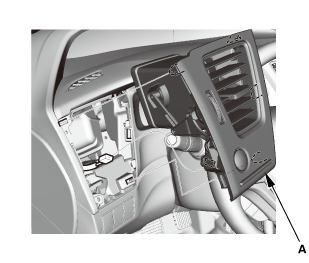 Install the dashboard subdisplay visor (A). 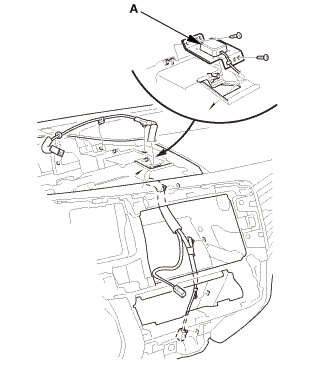 Install the driver's dashboard lower cover (A). 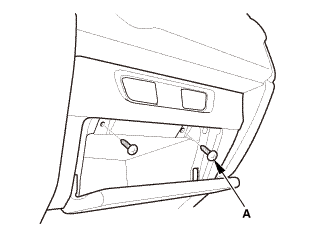 Install the driver's outer vent (A). 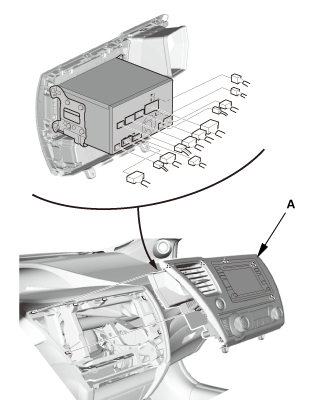 Connect the connectors, then install the audio-navigation unit (A). NOTE: Make sure all the connectors and the antenna lead are secure. 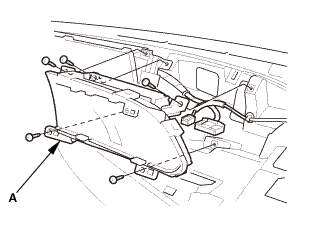 Install the dashboard center pocket (A).